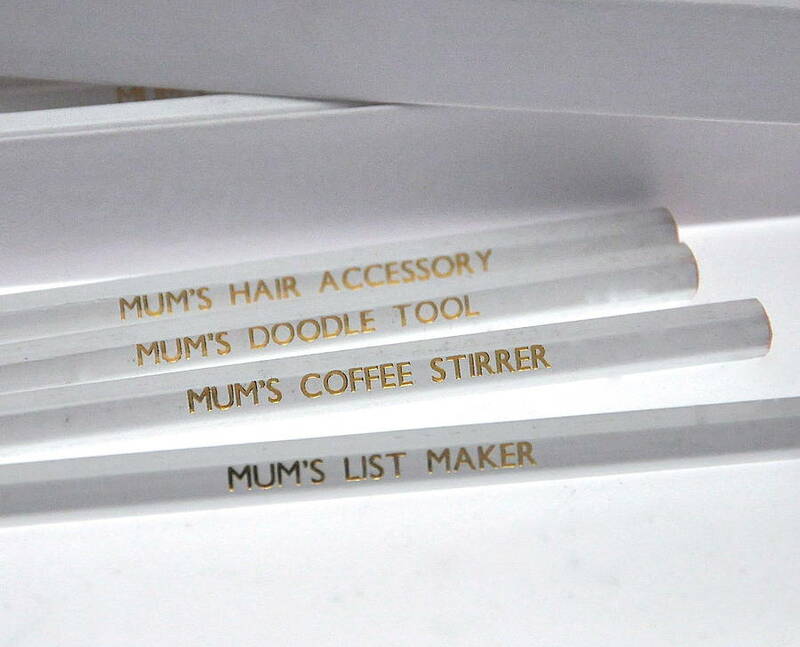 An originlal way to say just what your Mum means to you ... and dont forget 'MUMS ALWAYS WRITE' ! 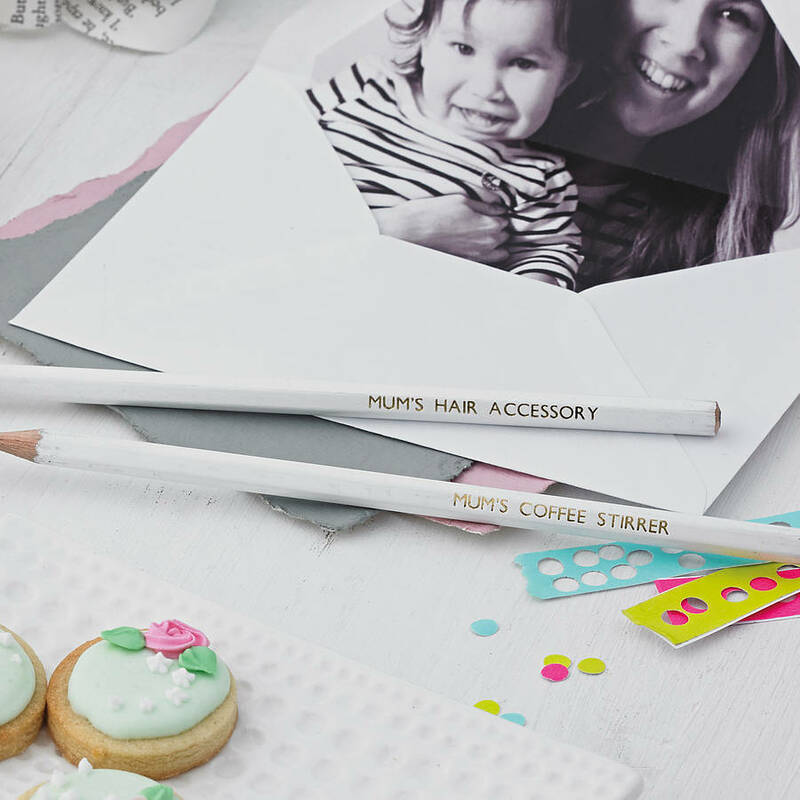 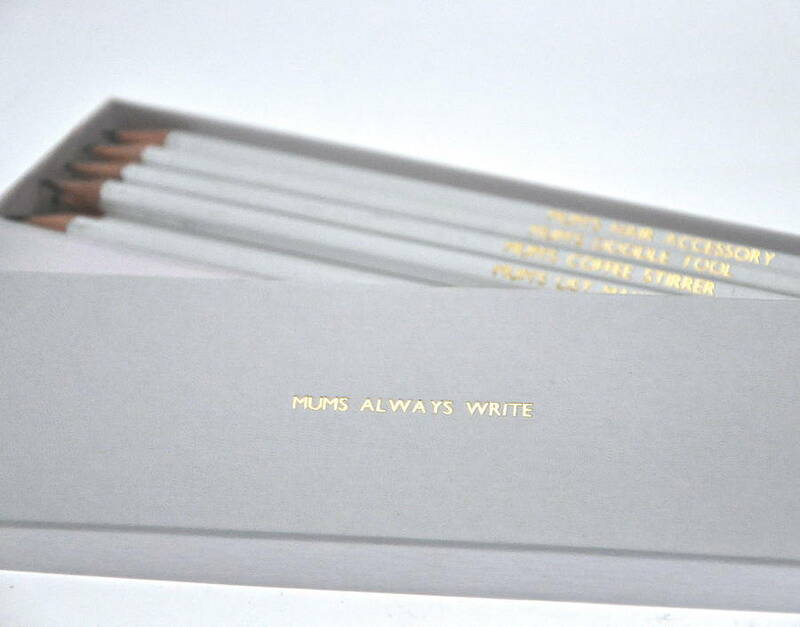 Each of the pencils are gold embossed and personalised with your sentiment never to be lost again. 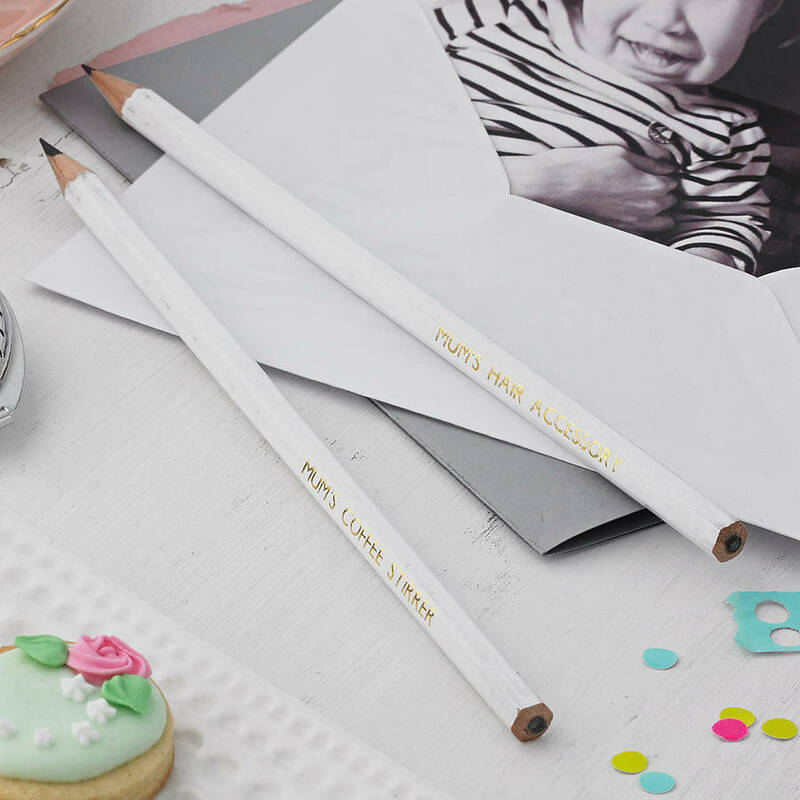 Made from quality HB lead with seasoned wood that is bonded to the lead, giving you a fine, sharp point every time you sharpen . 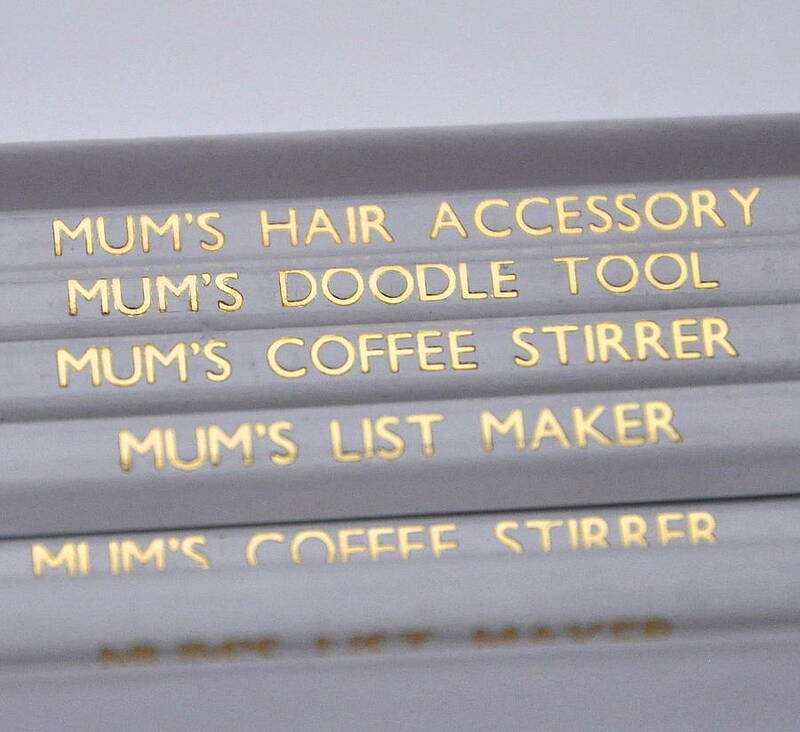 Hand Personalised with any name/ words up to 20 characters. 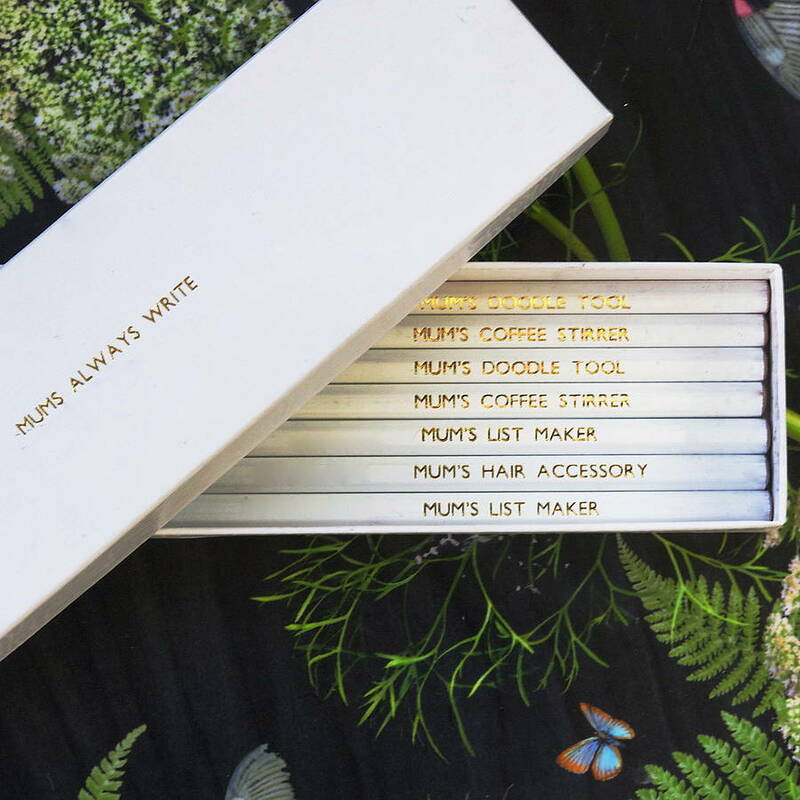 The pencil box measures 26 5.5cm and includes 12 pencils.